Annapolis Criminal Law, Family Law & Labor and Employment Attorney | Steven C. Homola, Esq. Attorney Steve Homola joined the Law Offices of Mark W. Howes, LLC in 2016. He brings experience practicing family law, real estate litigation, and defending individuals charged with criminal and traffic offenses. He currently represents clients in family/domestic, criminal, traffic, and general civil matters. theft to DUI and drug distribution charges. 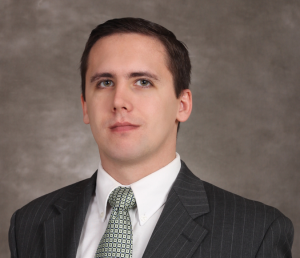 Upon completion of his studies, Mr. Homola completed a fellowship at the non-profit Pennsylvania Institutional Law Project, where he represented institutionalized persons in civil rights litigation, before moving to Maryland and entering private practice. Mr. Homola is licensed to appear in all Maryland state courts. Mark W. Howes, LLC serves clients throughout Anne Arundel, Queen Anne’s, Prince George’s, Howard, Calvert, Montgomery, Talbot and Baltimore Counties and Baltimore City.